Wilden Living Lab Delivers Surprising Results. Windows play an important role in every home. They enhance the aesthetic appearance of the exterior, optimize views, and allow sunlight to naturally brighten the interior. Windows can also be a major source of heat loss in the winter and heat gain in the summer, which can jack up your heating and cooling costs. It is already proven that improving the efficiency of window glass has a direct impact on the overall efficiency of any home. Statistics show that replacing conventional single-pane windows with Energy Star® rated windows can save homeowners up to 8% on energy bills. Energy Star® windows are equipped with a variety of features to improve energy performance, including double or triple glazing, warm-edge spacers, gas filling between the panes (argon, krypton, or a mixture of both), and a variety of coatings on the glass – all of which helps to limit solar UV rays, reduce energy costs, provide resistance to condensation, enhance indoor comfort and act as a good sound barrier. So what happened in the Wilden Living Lab? State-of-the art sensors were installed on the inside and outside of windows on both homes to collect data. 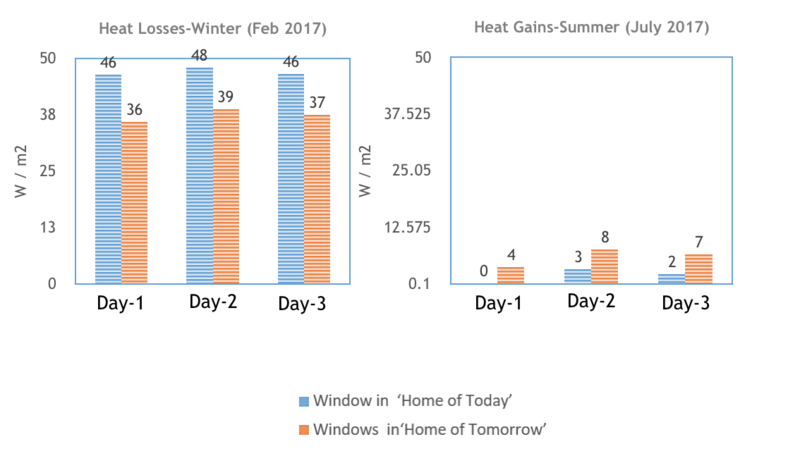 Heat gain and loss were measured over 3 typical summer and 3 typical winter days, and was analyzed along with the R–values as defined by manufacturers. The results were truly surprising! During the winter, the heat loss from the triple-pane windows in the home of tomorrow was substantially reduced – on average by 9.33%. However, we also noted that the triple-pane windows showed greater heat gains in summer as compared to double-pane windows. Further research is now being conducted into why this occurs and how it can be mitigated in the future. Stay posted for more real life data results. In next month’s issue we will talk about how insulating concrete form (ICF) is used in a house and what benefits you can get out of it! 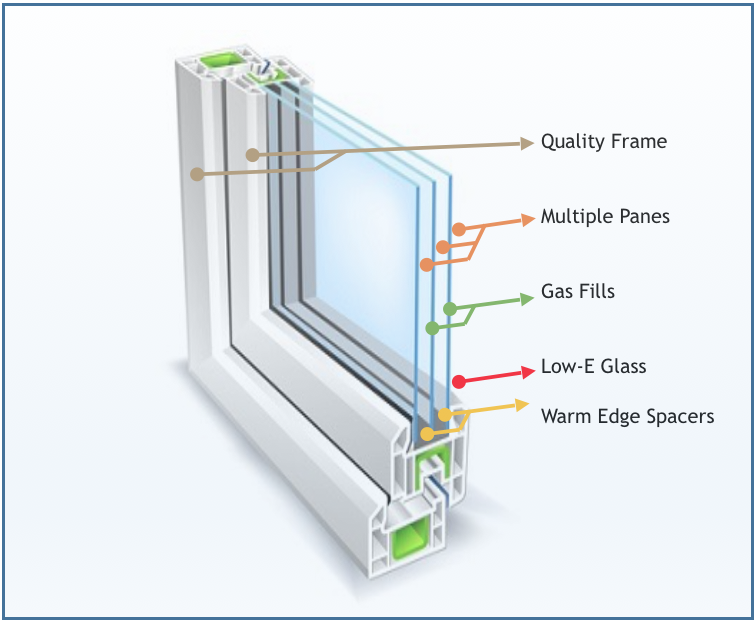 The thermal performance of the window depends on frame properties, the installation, glazing coatings, and shading. Hard to make broad conclusions as these will vary. What were these properties in the triple and double pane windows used? Thermal performance of windows depends on thermal transmittance, solar transmittance, and air tightness properties. The frame properties and construction practices were assumed to be the same for both windows types. The window performances were measured for a very specific location with a limited data set. Moreover, Actual windows were tested in a controlled environment (at the laboratory) and the comparison results were posted on March 2018. The properties of both frames and windows were considered in that article. Please check the Wilden news for more information. However, the above results do give us an idea of approximate savings possible for the two window types for Southern British Columbia climate region. Please find the properties of the windows here. What was the difference in cost between the different type of windows? In essence, how long would it take the pay back the difference assuming 9-10% heat loss? The total cost difference between the windows of two houses was approximately CAD$ 12,127. The discounted payback of windows upgrade came out to be about 55 years for the WLL project. It should be noted that this high payback period is due to lesser net energy saving difference between double and triple glazed windows used in this specific project. Generally, the payback period of window upgrades/retrofits will vary with the climate region, window orientation and window/wall ratio of the dwelling. 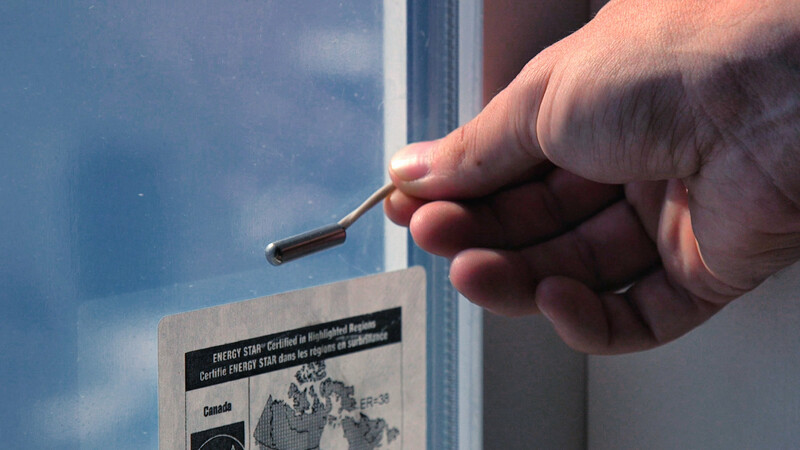 This results are observed to be similar to other studies that window upgrades/retrofits are not the most cost-effective way to reduce energy bills in Southern British Columbia climate region. However, the cost of the triple pane windows will reduce with the time due to the maturity of technology and the economies of scale, which may reduce the current payback.